I don’t know whether you saw Chris’s stunning 1:24 scale Airfix Sea Harrier FA.2 in Aircraft-Finished Now-Airfix? If not, you should! It was an incredible project that ended with spectacular results. 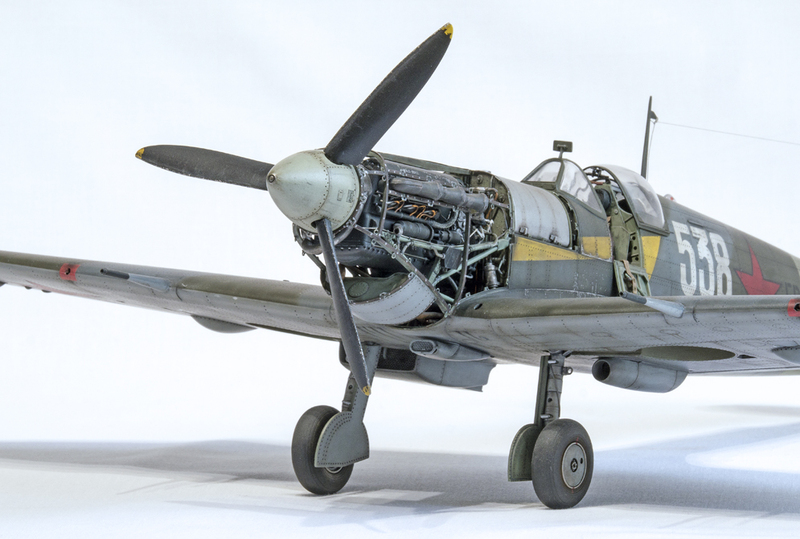 If that wasn’t enough he did a great job on Revell’s new 1:32 Me262B-1a and now we have Chris’s equally stunning Trumpeter 1:24 Supermarine Spitfire Mk.Vb in Russian markings – simply wow! Simply some amazing scale modelling skills on offer here to help inspire you to maybe have a go at some new techniques to you? Whatever your interest, just soak it all up just like I am doing and looking for ways that I can improve my modelling too. This particular Spitfire formed part of the Lend/Lease programme offered to the Russian military during WW2. This aircraft, EP210, 538, was delivered to the 57th Guards Fighter Aviation Regiment, 3rd Squadron in 1944 and was based at Kuban in Southern Russia.